Features 100 images for you colour: the heroes, villains and vehicles of Rogue One: A Star Wars Story. Set before Star Wars: A New Hope, it follows a rag-tag group of rebel commandos who must steal the plans to the Empire's new superweapon, the Death Star. Use your stickers to complete her outfit, as well as the outfits of her friends, Finn, Han Solo and BB-8, plus complete vehicles and locations from the smash hit movie.In The Force Awakens, Luke Skywalker has vanished. A follow up to the bestselling Star Wars Doodles, this title revisits worlds all across the Star Wars galaxy from both the classic trilogies and the newest films including The Force Awakens. Helps you to colour in all your favourite characters, including Leia, Han Solo, Luke Skywalker, R2-D2, C-3PO and many more. 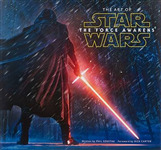 This book is suitable for all Star Wars fans aged 7 and up. Tells a tale of good versus evil set in a galaxy far, far away. This title is suitable for Star Wars fans old and new. 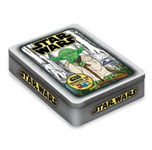 Allows readers to draw, colour, and create with all their favourite characters from the Star Wars films. 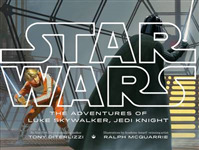 This book features characters ranging from Luke Skywalker to Darth Vader. Each page is packed with doodles from a galaxy far, far away. Use your stickers to complete his outfit, as well as the outfits of her friends, Rey, Poe Dameron, Han Solo and BB-8, plus complete vehicles and locations from the smash hit movie.In The Force Awakens, Luke Skywalker has vanished. 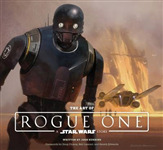 An official behind-the-scenes companion to "Rogue One" provides an in-depth tour of the production's art department, profiling key droids, vehicles, and weapons through hundreds of concept paintings, sketches, storyboards, matte paintings, and designs. 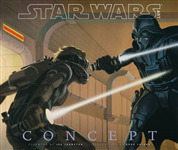 Revisits the Star Wars universe. In this title, a world filled with new characters, locations, ships and aliens await you. It also includes some of your old favourites like Han Solo, Chewbacca, Leia and Luke.